Stepanos Siunetsi was a very prolific medieval author and translator, as well as an important figure of the Armenian Church. He was the son of Sahak, a clergyman, and was probably born in 688. His father was an archpriest in Dvin, the capital of Armenia and seat of the Catholicosate, where Stepanos studied. Afterwards, he received his religious education first in the monastery of Makenetsots (province of Gegharkunik, near Lake Sevan) and then in the famous seminary of Siunik, directed by Movses Kertogh. He was consecrated archimandrite and replaced the latter as director of the seminary. A few years later, he returned to Dvin, where he continued his intellectual activities. In 710 Stepanos traveled abroad to pursue what we would today call “graduate studies” in Athens and Constantinople, where he studied Greek and Latin literature, learned musical theory, and deepened his knowledge in theology and literary scholarship. He also produced translations from the works of several authors, such as Pseudo-Dionysus the Areopagite, Nemesius of Emesa, and Gregory of Nyssa. Around 720 he returned to Armenia and settled in Dvin, where he continued his literary and ecclesiastic work. He wrote biblical commentaries and, above all, church hymns, which entered the Sharaknots (collection of hymns) of the Armenian Church and are praised for their musical quality and freshness. He also wrote a commentary of Dionysus Thrax’s Art of Grammar. During his preaching, he met Prince Sembat Bagratuni, a staunch defender of the resolutions of the Council of Chalcedon, who quarreled with Stepanos and subjected him to persecution and death threats. The ecclesiastic escaped to Constantinople in disguise and found refuge near an Orthodox hermit to continue his theological and philosophical studies. Historian Stepanos Orbelian (thirteenth century) described Stepanos Siunetsi as a spiritual pastor of “sweet severity” and a careful guide, who both “nurtured the children with the milk of Christ” and “stroke the vicious ones like a sword.” Unfortunately, his severity towards the vicious ones cost him his life. In 735 the prelate made a pastoral tour of the twelve districts of Siunik, where he redecorated the churches, preached the word of the Gospel and advised and punished sinful people. He visited the town of Moz in the valley of Yeghekis. He admonished a woman of lewd behavior to repent, but she continued her indecent ways, and the bishop excommunicated her. Seeking revenge, the woman persuaded her lover to kill Stepanos while he slept. He was unable to carry it out, and the woman took the sword and killed Stepanos. The unfortunate ecclesiastic was buried in the church of St. Christopher. According to Stepanos Orbelian, a strong earthquake hit the area for forty days in the same year, causing the death of some 10,000 people. Because of the lamentations of the population (symbolized by the interjection vay/վայ in Armenian), the region was said to have taken the name of Vayots Dzor (valley of the vays). The catastrophe was ascribed to a divine punishment for the tragic murder of Stepanos Siunetsi. His body was reburied in the monastery of Tanahat, where a small chapel was built over his tomb. In 1273-1279 the chapel was replaced by a magnificent church. 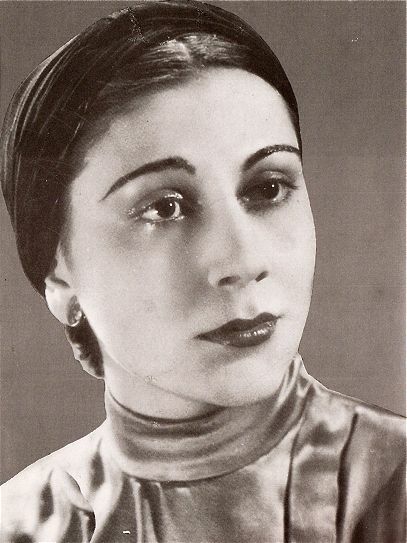 Stepanos’ sister, Sahakdukht, was also a teacher and the first Armenian female composer known as such. She renounced to worldly life and carried the life of a hermit in a cave at the gorge of Garni, near the ruins of the homonymous pagan temple. She taught children and composed church hymns. Pierre Quillard was a French poet and translator, but he is equally known for his political engagement, especially to the Armenian Cause. He was born in Paris on July 14, 1864. He studied at the Lyceum Fontanes, where he had a host of distinguished fellow students, including poet René Ghil (1863-1925). He pursued higher education at the School of Letters at the Sorbonne. He graduated in 1885 and then followed graduate studies at École Pratique des Hautes Études and the École des Chartes. He founded the literary journal La Pléiade in 1884 with two friends. A follower of symbolist poetry, in 1890 he published his first collection, La gloire du verbe (The Glory of the Word). He would reprint the book, including new poems, in 1897, with the title La Lyre héroïque et dolente (The Heroic and Grieving Lyre). Quillard followed the fashionable current of symbolism. Among other publications, from 1891 until his death he would be a contributor to the famous literary magazine Mercure de France. After his academic studies, the poet had fallen in love with Hellenism. In 1888 he started publishing studies on Greek classical literature, followed by several translations of Sophocles, Iamblichus, and other authors in the 1890s. Some of them were performed in theater. A turning point in his life was his departure to Constantinople in 1893 to become a teacher at the Armenian catholic lyceum St. Gregory the Illuminator. (Another poet, Taniel Varoujan, would become its principal two decades later, until the fatidic date of April 24, 1915.) He remained in his position until 1896, witnessing the oppression of Abdul Hamid’s regime. In 1897 he followed the Turkish-Greek war as a correspondent for L’Illustration. Upon his returned to France in the same year, he took over the defense of the Armenians and of other oppressed peoples. Together with poet Arshag Tchobanian, he compiled a series of testimonies on the Hamidian massacres of 1894-1896, which he published in a voluminous book in 1897. He also organized many gatherings about the situation in Western Armenia. Quillard was also engaged in the political scandal known as the Dreyfus Affair and took the defense of Alfred Dreyfus, the French soldier of Jewish origin unjustly condemned for treason. He adhered to the League of Human Rights since its foundation in 1898. His political engagement led him to almost leave literature aside. In October 1900 he became the editor in chief of the bimonthly Pro Armenia, published by the Armenian Revolutionary Federation, to promote the Armenian Cause. The editorial board was composed of famous names in the pro-Armenian movement of France, such as Jean Jaures, Anatole France, Georges Clemanceau, and Francis de Pressensé. After following the Ottoman Revolution (1908), Pro-Armenia resumed publication in 1912, first with the name of Pour les peoples d’Orient, and then again as Pro Armenia (1913-1914). Quillard returned to the Ottoman Empire in 1904 as correspondent for L’Illustration. 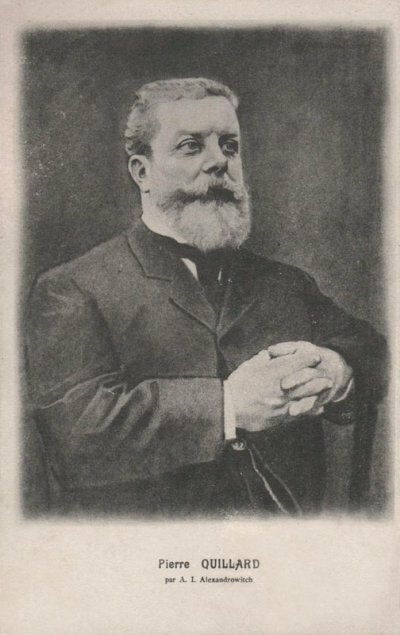 In 1904 he became member of the central committee of the League of Human Rights, and in 1907 was elected vice-president. He would rise to the position of general secretary in 1911. Father Ghugas Injijian, geographer and philologist, was a member of the Mekhitarist Congregation of Venice and a prolific author of many valuable works in the first quarter of the nineteenth century. He was born in Constantinople in 1758. His mother was the sister of another famous Mekhitarist monk, historian Mikayel Chamchian (1738-1823). His father sent him to study in the monastery of San Lazzaro, the headquarters of the congregation. He embraced ecclesiastic life in 1774. After a four-year sojourn in Constantinople (1786-1790), he returned to Venice, where he started publishing his works. His first publications were in verse: Brief Survey of Ancient and New Geography (1791), also translated into Italian, and partially into French; Byzantine Summerplace (1794), partly translated into Italian and French, which depicted the geography and geology of the Bosporus and Dardanelles Straits. After the publication of Azdarar (1794-1796) in India, Injijian became the publisher of the second Armenian periodical in history, called Darekrutiun (“Annals,” 1799-1802), which was continued by Yeghanag Piuzantian (“Byzantine Times,” 1803-1820). Both were yearbooks, written in Modern Armenian, which contained information about world political affairs, religious, academic, and scientific issues, as well as weather information and predictions. In 1805 Injijian moved back to Constantinople and continued his activities. In 1806 he contributed a volume on Asia to the Geography of the Four Parts of the World (picture), produced by his teacher Stepanos Agontz, the Abbot of the Venice branch of the congregation. 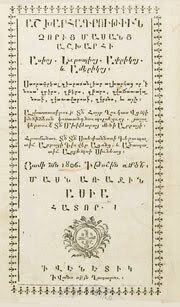 With the support of the Duzians, a wealthy family of amiras, in 1812 Injijian launched the Arsharouni Society with the goal of promoting books published in Modern Armenian. The Duzians fell in disgrace with the sultan in 1819, and Injijian, fearing for his life, escaped to Odessa, where he remained for a year. The Arsharouni Society was dissolved by the Turkish government, and Yeghanag Piuzantian, which the society sponsored, ceased publication. After the danger had passed, Injijian returned to Constantinople in 1820, and two years later he published one of his most important works in Venice, Topography of Ancient Armenia, where he presented the historical and geographical picture of Greater Armenia on the basis of a wealth of data gathered from Greek, Roman, and Syriac sources. His work included the description of the geography of the fifteen provinces and hundreds of districts, etymology of place names, ethnographic information, and topographic amendments. This would be followed by the posthumous, three-volume Geographical Archaeology of the Armenian Land (1835), which was the first voluminous work after Chamchian’s History of Armenia to talk about the geography, administrative division, laws, science, arts, ethnography and other issues related to ancient Armenia. Still, Injijian would produce an eight-volume work called Narration of the Century (Դարապատում), where he offered an abridged history of all countries from 1750-1800, which was published from 1824-1827. The last two volumes were devoted to the history of the development of science and art, as well as the life and work of great thinkers, artists and clergymen. In early 1828, the Catholic Armenians of Ankara were deported, and Injijian considered it dangerous to remain in Constantinople. He returned to Venice, where he was elected deputy abbot of the Congregation and remained in that position until his death on July 2, 1833.